urlname = 14K gold plated tunnel with threaded back, 11/16". Ear gauge,tunnel plated,large piercing,gold. 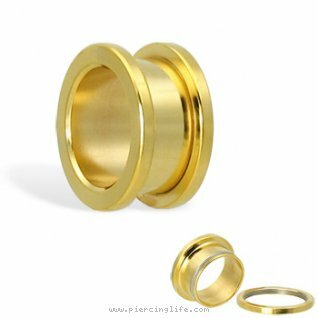 Piercings Jewellry: 14K gold plated tunnel with threaded back, 11/16"
Related products: 14K gold plated tunnel with threaded back, 11/16"
Plated,large, piercing,gold, gauge,tunnel, ear jewellry..